Members please login to view members only pages and events. Need help click here to email Admin. If you are a member of the club, you can request access to the members area. Please complete the form below for registration. 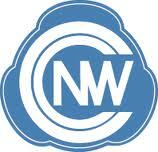 There are areas of North West Casual Classics web site that are only available to members. Anyone can read the club’s general web site pages but in order to read the member`s specific pages, you need to log in with a user name and password. If you are a member of the club, you can request access to the members area. Please complete the NOT REGISTERED form. NOTE:- This is a manual process so please be patient, you will get one email to confirm your registration and log-in details. Please do not try to log in until you receive the email as the system will just reject your attempt.